The University of Sydney will look to capitalise on new opportunities in the aerospace, defence, security and transportation fields with a new partnership with global technology leader Thales Australia. The two groups signed a memorandum of understanding Monday morning, committing to work closely together over the next five years to develop new technologies and capabilities. 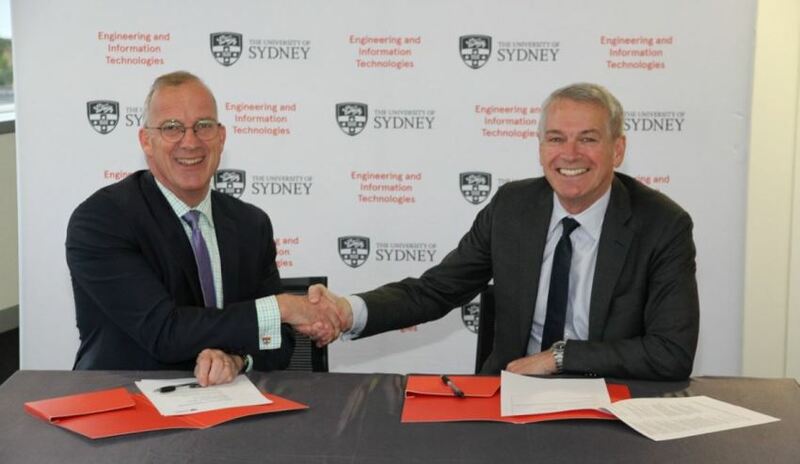 The MoU was signed by Thales Australia country director and chief executive Chris Jenkins and the University of Sydney vice-chancellor and principal Michael Spence. Jenkins said the MoU was just another important step in the pair's history, having already collaborated on underwater sensing technology. "This is a significant milestone in the company's history as we move to an enhanced relationship with the University of Sydney," Jenkins said. "Thales Australia's long-term relationship with the university has contributed to breakthrough technology in underwater sensing and Thales's sovereign capability in fibre laser sensors. "Recognising the pace of innovation, especially in digital technologies like big data, machine learning and artificial intelligence, it is critical for Thales to partner with leading universities. "The future applications of these technologies will require a holistic and integrated response, moving beyond individual disciplines and creating the next generation of careers and technological and industrial capabilities." "We have made great gains in increasing our engagement with industry in 2017, which is a major priority in our 2016-20 Strategic Plan. Thales has a long and established track record of successful collaboration with a number of academic institutions around the world and we are proud to partner with them formally," Dr Spence said. "By collaborating, exchanging ideas and sharing best practice with Thales, our engineering and IT researchers will gain new ideas about how to translate their research into practical solutions for industry," said Professor Johnston.